As Unitarian Universalists affirm the compatibility of religion and science today, our religious forebears celebrated both faith and reason. 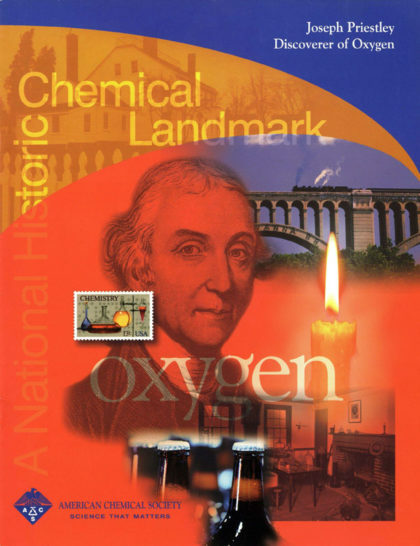 Joseph Priestley, 18th-century chemist and Unitarian minister, believed that it was deeply religious to seek the truth, both natural and spiritual. In Unitarian Universalism, critical questioning can be a religious experience; we support one another to search for personal truths and come to our own conclusions. This session looks at Priestley, known for serendipitous scientific discoveries, because sometimes a miracle appears while we are searching for something else. EXPLORE THE TOPIC TOGETHER. Talk about… Is it hard for a person to be both religious and scientific? Why, or why not? What are some serendipitous things that have happened to you or your family? Did they all have good outcomes? Do you believe they happened for a reason? Can that reason be scientifically explained? Try…being more aware of the coincidences that happen around you, and the outcome of the experience. Share with family members when something seemingly serendipitous happens to you, and try to identify the impact of the event. Make your own raisin lava lamp.